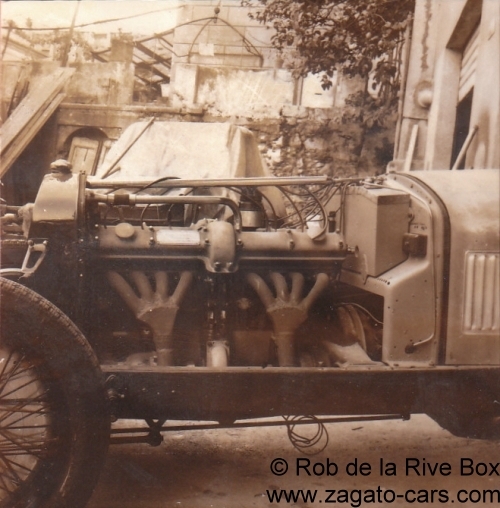 We recently acquired a number of photographs from the old Rob de la Rive Box archive. 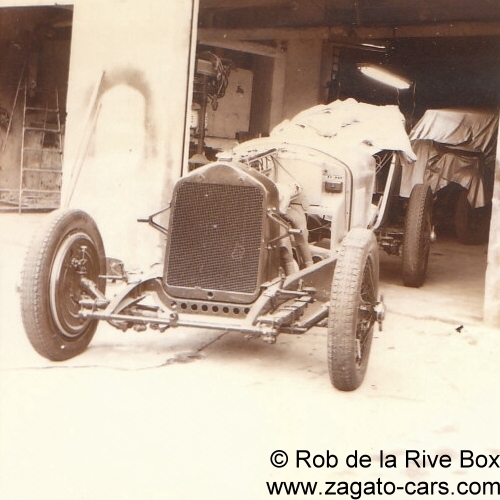 Box was author of a number of classic car books and classic car dealer avant la lettre. 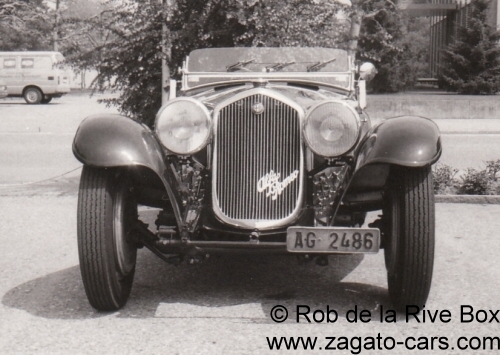 Amongst the photos were two sets of two different Alfa Romeo 8 C's. 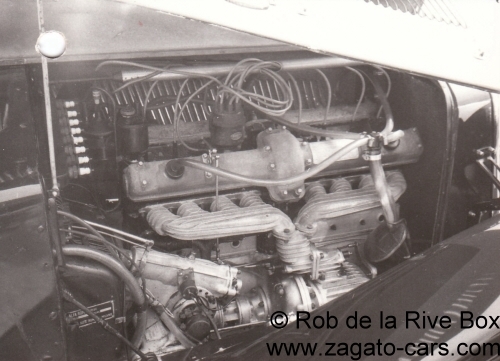 The first one has been identified as Alfa Romeo 8C 2300 S/N 2311217 (more details and photos at the bottom of this page). The second one remains unidentified to this date. We would appreciate any information you might have on this car. 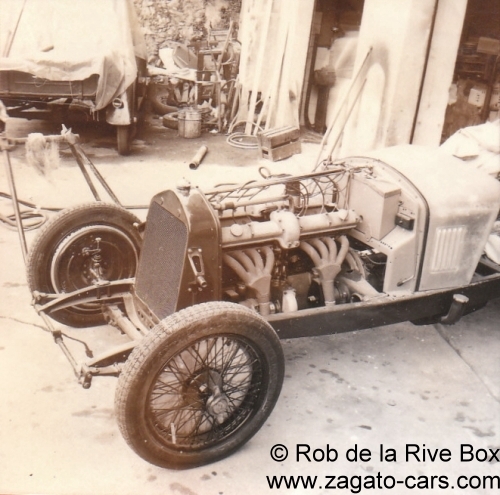 The photos are stuck to an advertising sheet for one of Box's books dating from 1977 but that does not appear to be a definite clue as to when Box owned this car. 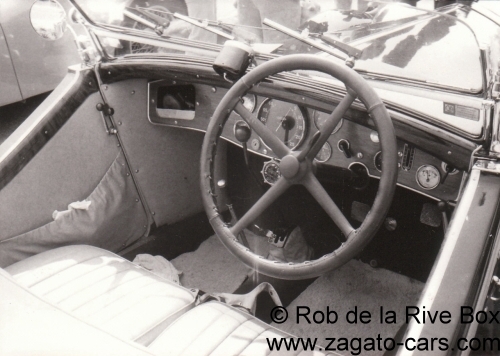 Information on this car can be forwarded to jack@zagato-cars.com and would be much appreciated! 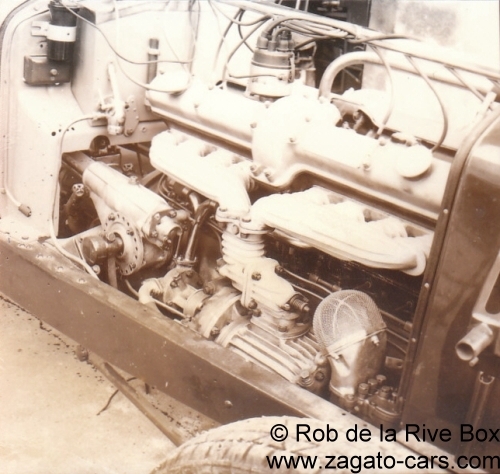 This is the second 8C 2300 of which we acquired photos from the Rob Box archive. 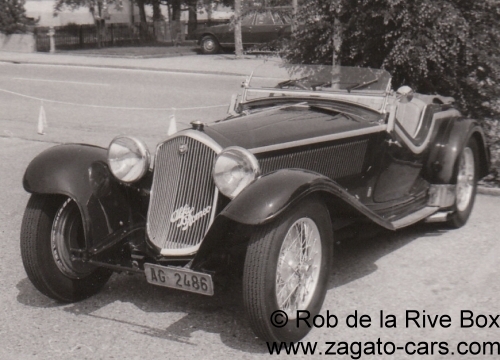 It has been identified as serial number 2311217 from 1937 with Pinin Farina Spider bodywork which now seems to reside with Lukas Huni in Zurich, Switzerland. Most probably, the photos were taken around the date of sale to Andreas Mast in 1978.